This article is a refutation against many points of Calvinism. I have nothing against Calvinists. In fact, I love Calvinists very dearly. I attended a reformed church. I made many good friends there that are still my friends today. They are some of the most spiritual people I have ever met. Some are amazing soul-winners. I also really enjoy the writings of R.C. Sproul, a popular reformed theologian. I truly admire Calvinists because they are like me; they attempt to prove their points with Scripture. Before I started studying the issues in this article, I would have called myself an Arminian. It seems that if you are not a Calvinist, then you must be an Arminian. Well, I certainly am not a Calvinist because I believe in man’s free-will (which I will prove in this article). But I also am not an Arminian because I do not completely agree with how they view the election. I am not a Calvinist or Arminian or even something in-between. What am I? Maybe I could just be called a disciple since there are no labels for the stance I take. Many in the Church do not consider themselves a Calvinist or Arminian either. However, some are not even sure what the Bible says about the points of Calvinism or Arminianism. 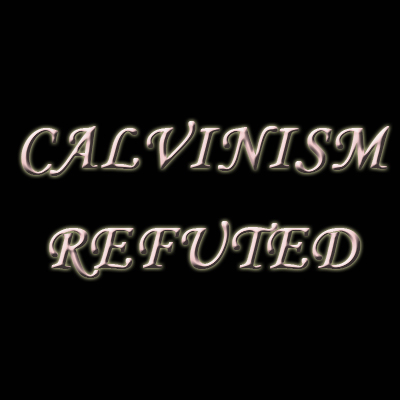 I desire to give here a clear picture of what the Bible says refuting the points of Calvinism. I follow the pattern of Calvin’s TULIP (Total Depravity, Unconditional Election, Limited Atonement, Irresistible Grace, and Perseverance of the Saints) and discuss each point with the Bible.